Not only has an international collaboration between 30 different scientific teams uncovered the “smoking gun” that caused mass extinctions during the last ice age, but it also demonstrated what can be achieved when different scientific communities pool their resources. The multinational team discovered that many animal species died out due to a lack of biodiversity brought on by extreme climate change – a chilling harbinger of what may become of today’s hapless fauna. Knowledge of the past, however, could help us better prepare for the drastic environmental consequences of current climate change events. The Last Glacial Maximum, which occurred 25,000 to 15,000 years ago, was a time when the planet reached some of its coldest temperatures. 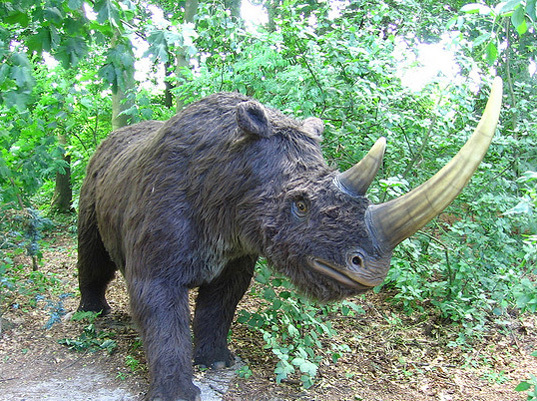 Dr James Haile, an ancient DNA specialist from Murdoch University that took part in the study, explains that “Large animals such as the wholly rhino [sic] and mammoth fed primarily on protein-rich forbs, herbaceous flowering plants, which were essentially wiped out during the Last Glacial Maximum.” While many species of mammals survived the initial change, the lack of biodiversity meant that food became increasingly difficult to find, a situation that proved fatal for larger mammals. Understanding how the environment responded in the past will also prove an essential tool to figure out what climate change has in store for the the planet as we know it today. “While we may get a handle on climate change in future by reigning in carbon emissions, we can’t expect landscapes and populations to return to their previous composition,” said Dr Haile. One area in particular that could provide many clues is located in Western Australia (WA), one of only 34 biodiversity hotspots in the world that has already experienced dramatic changes since the arrival of humans. Together with colleagues from Curtin University, scientists hope to reveal the past biodiversity of South West WA, and understand how its transformation translates to other areas around the world. Dr Haile also notes that the megafauna project has demonstrated the value of international collaboration, along with how much more effective institutions can be when they embrace global communications and work towards one common goal. "...a chilling harbinger of what may become of today’s hapless fauna." May? Sweetheart, we passed zero hour already. Being that so few are aware of geoengineering, the real cause of 'climate change', we simply have no time left. It's a matter of when now, not if. Fauna goes, we go. Good luck living off of Monsanto's extermination 'food'. 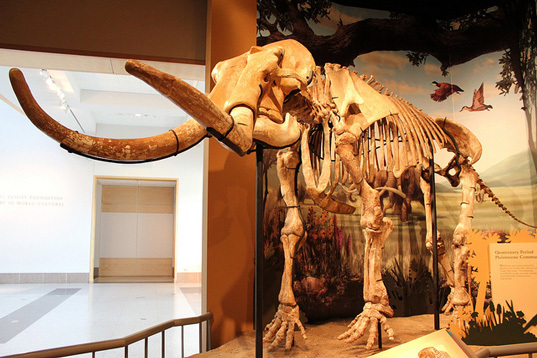 The wholly mammoth? As opposed to the partially mammoth? Any genetic connection to the woolly mammoth? Not only has an international collaboration between 30 different scientific teams uncovered the "smoking gun" that caused mass extinctions during the last ice age, but it also demonstrated what can be achieved when different scientific communities pool their resources. The multinational team discovered that many animal species died out due to a lack of biodiversity brought on by extreme climate change - a chilling harbinger of what may become of today's hapless fauna. Knowledge of the past, however, could help us better prepare for the drastic environmental consequences of current climate change events.